The following article by Jonathan appeared in BioCycle‘s June 2016 issue. On May 25, the House Agriculture Committee held hearings on the issue of food waste. Based on their tone, committee members sounded determined to use government to prompt change in the food waste status quo. 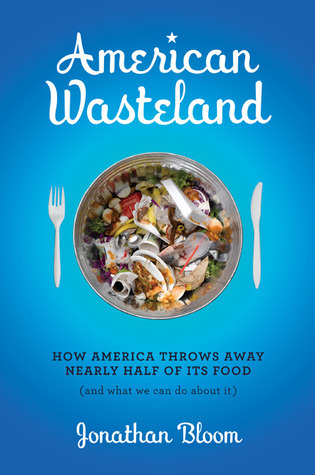 Or at the very least, help remove bureaucratic roadblocks to food waste reduction. The Committee invited expert witnesses to essentially educate them on many facets of food waste and discuss potential federal roles for its alleviation. The only witness on Panel I was Congresswoman Chellie Pingree (D-ME), who set the table for the others by laying out the impact of America’s wasted food and reminding the committee of the federal 50 percent food waste reduction goal by 2030. She also plugged her more recent legislative answer: the Food Date Labeling Act introduced in May. That policy initiative received plenty of attention during the two hours of testimony. That cooperative spirit feeling continued throughout the hearings in the Longworth House Office Building. In his opening remarks, ranking member Collin Peterson (D-MN) asserted, “This is an area where we can work across party lines.” Given that notion, the strong committee turnout —17 members — on a busy Hill morning, and the amount of time spent discussing the date label issue could mean that Pingree’s labeling bill may just have legs. The six witnesses on Panel II had a variety of perspectives on the food waste issue, with a lone exception — the composting industry. But Washington, D.C.-based Compost Cab held forth at the Committee’s Food Waste Fair held in the same room later that day. In addition to providing information, the panel of witnesses all pitched their preferred changes. The Natural Resources Defense Council’s Dana Gunders pushed for a reduction of food wasted in the federal agencies and a need for better data, in particular at the farm level. Gunders also stressed that government funding would help extend the reach of their nascent Save the Food campaign, produced in conjunction with the Ad Council. Emily Broad Leib, Director of the Harvard Food Law and Policy Clinic, indicated that the venerated 1996 Good Samaritan Act needs clarification on several key points because it has never been challenged in court. (This illustrates just how wrong retailers and restaurants are when they cite liability worries as the reason for not donating food.) Broad Leib also noted the need for federal guidance on food safety issues with date labels. Jesse Fink, head of the ReFED food waste nonprofit, pushed for further incentives for donating and composting food. He also noted the need for further education, innovation and capital. Meghan Stasz of the Grocery Manufacturers Association noted the conflict between state landfill bans and a lack of food recovery and composting infrastructure. After the witness testimony, the Chairman’s first query was to gauge support for federal preemption of state law on date labels. Conaway first asked Stasz whether the food industry would support federal preemption to various state regulations on date labels. Stasz’s response was firm and succinct: “Yes.” Conaway then asked the entire panel if there were any objections to that idea. Silence confirmed their assent. The Food Date Labeling Act was introduced by Rep. Chellie Pingree (D-ME) in May. The topic received much attention during the 2 hours of testimony. Ranking member Peterson expressed concern that altering food labels in any way would lead to consumer confusion. In that way, Pingree’s date labeling bill may become a victim of bad timing, as Peterson referenced recent FDA changes to Nutrition Facts labels and previous labeling fights over GMO foods and the word ‘natural.’ Peterson also warned the panelists about the danger of involving several federal agencies in determining which foods would need an “expires on” label, as Pingree’s bill would do. “By the time you’re done, you’re not going to recognize the bill,” Peterson said. On a more serious note, McGovern stressed that food waste recovery was not a substitute for WIC or SNAP benefits (federal programs to assist food purchasing). McGovern’s comments spoke to a subtext of the hearings: a belief that the Ag Committee’s interest in food waste stems largely from its potential to counterbalance food assistance cuts in the next Farm Bill. Yet, regardless of any potential horse trading, the majority’s interest in food waste seemed genuine. Feeding America’s Diana Aviv responded that they could better serve those in need if they had the full $100 million authorized but not funded by Congress for infrastructure improvements like expanded refrigeration and food transport. ReFED’s Jesse Fink, managing director at MissionPoint Partners, noted that significant capital is needed for building new composting and anaerobic digestion (AD) facilities and that composting and AD represented an opportunity for private/public partnership. “The private sector is very interested in participating in that capital structure…but there needs to be signaling from you all on what needs to be done,” Fink said. Committee members spent some time inquiring about how best to shift cultural norms and prompt behavior change. In response, Gunders again mentioned the burgeoning “Save the Food” campaign. And Broad Leib pointed to outreach and food recovery in schools as a way to reach young minds, as previous antismoking campaigns have done. In addition, Alma Adams (D-NC) asked the Produce Marketing Association’s (PMA) John Oxford what could be done to help farmers move more product. Oxford revisited the behavior change theme and noted the PMA’s Eat Brighter campaign, which uses Sesame Street characters to help drive more produce consumption. Committee members’ personal responses to wasted food came early and often. Chairman Conaway realized that he was an “early adopter on the issue” as he recalled rushing across Fort Hood to reach the McDonalds by 2 a.m. to claim unsold Big Macs for redistribution across the Army base. And most members had personal reflections about eating the entire animal or growing up in a family where many brothers and/or livestock prevented wasted food. Several members shared reverent and often humorous family anecdotes about maternal influence in appreciating food. Rep. Trent Kelly (R-MS) recalled his mother buying old donuts from “the stale bread store” in town and serving them throughout the year to her unwitting, uncomplaining children. Kelly also remembered his mother solving his father’s objection to white corn with yellow food coloring. In another entertaining anecdote, Rep. Pingree referred to the marital strife often prompted by differing interpretations of date labels. Pingree joked that she had considered naming her legislation the ‘Domestic Harmony Bill’ rather than the Food Date Labeling Act. In addition to those lighter moments, there was one contentious one. Partisan tension crept into the ornate hearing room when committee member Rep. Fudge clarified a point from witness Oxford, who had testified on the need for help with labor issues because it can be hard to find produce workers. Fudge asked if he was talking about immigration. Oxford responded that immigration was part of the issue. “We can import labor or we can import our fruits and vegetables,” Oxford said. Yet, the overwhelming feeling throughout the two-hour hearing was one of progress and potential. Ground had been gained on the topic and participants on both sides were confident that the committee and the Federal apparatus could be helpful on the food waste issue in some way, even if it was only in getting out of the way. Chairman Conaway capped off the hearings with a related note of optimism. “Today’s hearing may be the first time the House Agriculture Committee is publicly engaging on this issue, but it will not be our last,” he said. This entry was posted in Legislation and tagged Agriculture Committee, Conaway, Date Label Bill, food waste, food waste bill, Jonathan Bloom, legislation, Pingree, policy, ReFED, Wasted Food. Bookmark the permalink. Both comments and trackbacks are currently closed.